What Are The Advantages Of PPC Advertising? In a world where there are so many websites and social media platforms, it is hard to stand out from your competition. With Google AdWords, for example, you can get your ads on the first page of Google with PPC advertising. If you were to try to claim a first page position with organic SEO, it would require much more effort in terms of content generation, link building and other SEO initiatives. PPC usually works best when it is done in conjunction with an SEO strategy. Why Would You Use Facebook Ads As Opposed To Google AdWords? Both Facebook ads and Google AdWords have their own uses in the digital marketing space. With Google AdWords, your PPC ads will appear to people who are using the search engine to find information about something they are interested in. With Facebook ads, your ads can appear in the news feeds of your target audience. You could decide to create an audience of women between the ages of 18 to 25 who are interested in horse riding, for example, if you are selling horse riding lessons in a certain area. Facebook ads offer a lot of customization, where Google AdWords can bring your products or services under the attention of someone who is looking for what you have to offer. 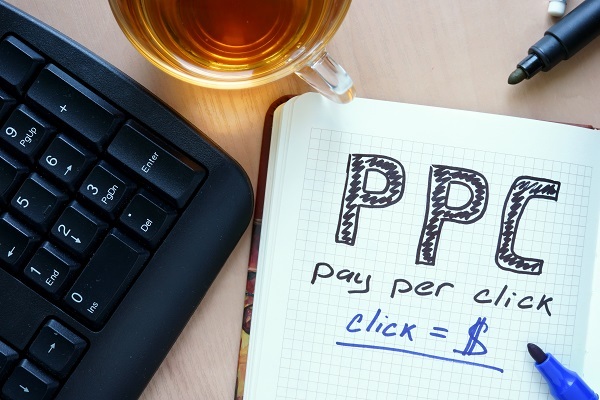 Your best bet is to work with an experienced PPC manager to create a comprehensive PPC plan that can help you get as much exposure as possible. Whether you are interested in Facebook ads, retargeting campaigns or remarketing initiatives, The Digital Marketing People can help you. Contact us to find out more today. Pay-Per-Click advertising (PPC) is one of the most effective ways to get your brand, product or promotion seen by search engine users. While search engine optimization (SEO) often requires a lot of content and time, paid online advertising can put you right at the top of Google’s first page instantly. You will need to set goals for your PPC campaign. Do you want people to pick up the phone and book a meeting with you, buy a product online, or do you want them to subscribe to your newsletter? Having established goals will help you track the success of your campaign. The second step is to understand the intent of your buyers (you can do this by creating buyer personas). Understanding what their pain points are and how you can help them overcome these challenges are the information you will need to craft compelling ad copy and landing pages to convert search engine users to customers. Determining the keywords that you want to bid for is the next step. If you are new to Google AdWords, it is advisable to partner with a digital marketing agency to help you through the process. The team at The Digital Marketing People can help you with everything from keyword research and selection to crafting ad copy and managing your campaign. Contact us for more information today. The Long Play: This involves Search Engine Optimization (SEO), Social Media Marketing, Email & Marketing Automation, Reputation Management and more. These digital marketing topics build assets over time that will work for you long after you stop paying for them but have a much longer startup phase and longer return cycle (ROI). The Fast Play: Paid Advertising, usually in the form of Pay-Per-Click Advertising (PPC). PPC allows you to “jump the queue” as it were, getting your ads in front of people immediately for an almost instant gain. Time and skill allow for significant optimization of a PPC account, but the benefits cease as soon as you stop paying for the ads. For most businesses with goals to grow, the best option is a mix of these strategies so it’s important to understand all of the aspects, at least to some degree.